Siria Iraq Update July 10 2017. By South Front. This map provides a general look at the military situation in the Syrian city of Raqqah on July 10, 2017. 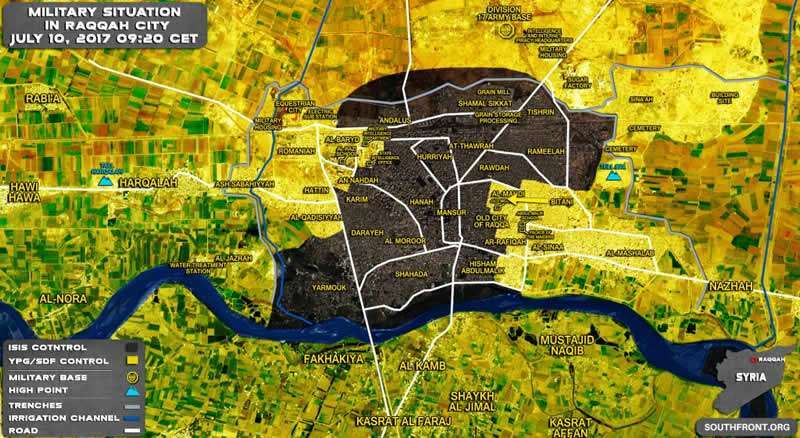 The Syrian Democratic Forces (SDF), backed up by the US-led coalition, are advancing against ISIS terrorists in the Old Raqqah area. On Sunday, Faylaq al-Rahman published a video that shows the targeting a group of Syrian soldiers east of the capital Damascus using a US-made TOW missile. This was the first confirmation of the usage of US-made missiles in Eastern Ghouta. 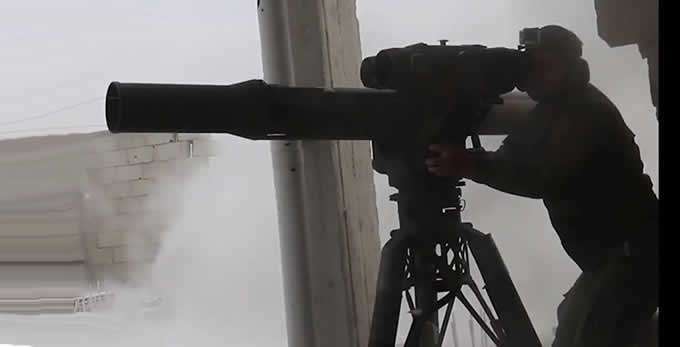 Faylaq al-Rahman have used TOW missiles several times against the Syrian Arab Army (SAA) armors in Aiyn Tarma area, but without announcing that. On Sunday, Faylaq al-Rahman also targeted an SAA tank using a TOW missile. From its side, the SAA launched a large-scale attack from four directions on the positions of Faylaq al-Rahman and Hay’at Tahrir al-Sham (HTS; formerly Jabhat al-Nusra, the Syrian branch of al-Qaeda) in Aiyn Tarma. 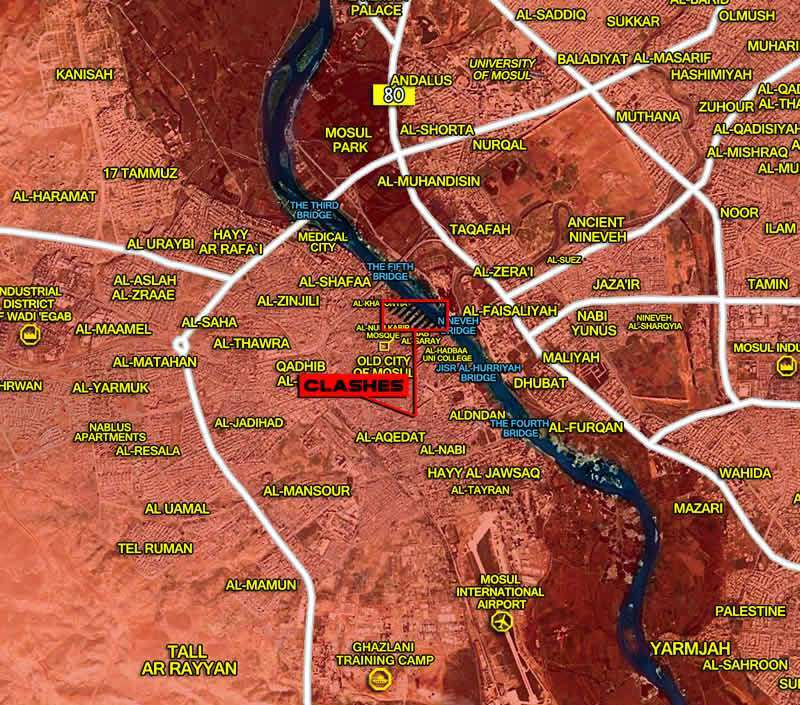 The SAA managed to advance and seize several buildings in the vicinity of the meat factory and the Al-Kheer markets deep inside Aiyn Tarma. During its advance, the SAA killed and injured awhole group of Faylaq al-Rahman fighters, and also repelled a counter-attack by Faylaq al-Rahman fighters on its new positions. Faylaq al-Rahman’s acquisition of TOW missiles in Eastern Ghouta is another case in which HTS allies have obtained US weapons. Meanwhile, Jaysh al-Islam that is hostile to HTS has not got TOW missiles. 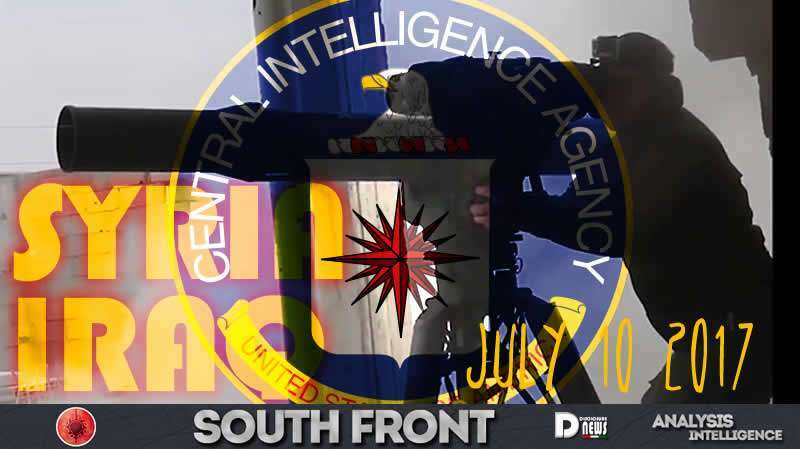 This leads some to allegation that the CIA support is limited to Al-Qaeda allies in Syria. 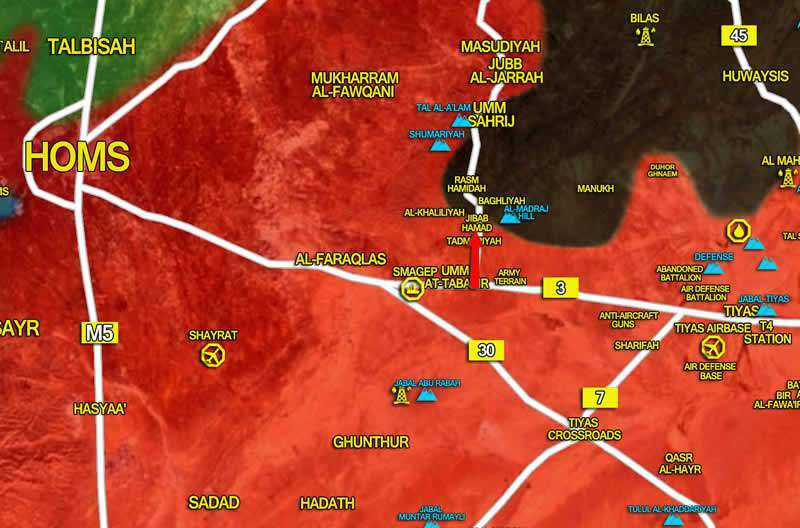 The Syrian Army and its allies have have captured a major part of the al-Haid gas fields near Palmyra and now are attempting to push ISIS from the rest of the area. Meanhile, reports appeared about reinforcements, including a notable number of artillery pieces and multiple rocket launcher systems, received by government forces operating in the area of Palmyra. According to local sources, the striking force is now concentrated near the Arak gas field. If confirmed, this will mean that the army and its allies are going to launch a major push towards the Daesh-held town of Sukhna soon.